“‘Hear, O Israel: The Lord our God, the Lord is one. You shall love the Lord your God with all your heart and with all your soul and with all your mind and with all your strength.’ The second is this: ‘You shall love your neighbor as yourself. There is no other commandment greater than these’” (12:29-30). “You are right, Teacher. You have truly said that He is one, and there in no other besides Him. And to love Him with all the heart and with all the understanding and with all the strength, and to love one’s neighbor as oneself, is much more than all whole burnt offerings and sacrifices” (12:32-33). “‘If anyone loves Me, he will keep my word… Whoever does not love me does not keep my words’” (John 14:23a, 24a). “‘You hypocrites! Well did Isaiah prophesy of you, when he said: ‘This people honors Me with their lips, but their heart is far from Me; in vain do they worship Me, teaching as doctrines the commandments of men’’” (Matthew 15:7-9). “Because this people draw near with their mouth and honor Me with their lips, while their hearts are far from Me, and their fear of Me is a commandment taught by men” (Isaiah 29:13). “‘But I have this against you, that you have abandoned the love you had at first. Remember therefore from where you have fallen; repent, and do the works you did at first. If not, I will come to you and remove your lampstand from its place, unless you repent’” (2:4-5). Christ called for the Ephesians to repent of losing their love for Him. Their worship was in vain, not because it was unscriptural per say, because their obedience did not flow from a heart of love. The truth of the matter is obedience will not produce love. No amount of obedience to the truth can be a substitute for a lack of love for God. Only love for God can produce faithful obedience. That is why Paul said, the only thing that matters is “faith working through love” (Galatians 5:6). Ultimately, if the Ephesians did not repent of being loveless, the Lord was going to snuff them out. The warning given to the Ephesians is a warning for the church today: the church can practice truth all day long, but if it does not flow from hearts that love God, then repentance is in order or the Lord will snuff it out. Therefore, we must recognize that it is enough just to love God, because only those who love Him will obey Him in an acceptable, pleasing manner. God promises glorious blessings to those who love Him. For those who love God, He promises them, and them alone, wonderful and marvelous blessings. The many sins of those who love God much will be forgiven, but for those who love God little, little will be forgiven (Luke 7:47). The Father loves those who love Him and He and Christ will only dwell with those who love God and Christ (John 14:23). “And we know that for those who love God” and only those who love God, “all things work together for good, for those who are called according to His purposes” (Romans 8:28). Only those who are “rooted and grounded in love” will have “strength to comprehend with all the saints what is the breadth and length and height and depth, and to know the love of Christ” (ref. Ephesians 3:14-21). Grace is dispensed only to those who love God (Ephesians 6:24). God has promised those who love Him that they will be spiritually “rich and heirs of the kingdom” (James 2:5). Ultimately, the “outcome of [our] faith, the salvation of our souls” is tied to our love of God (1 Peter 1:8-9). 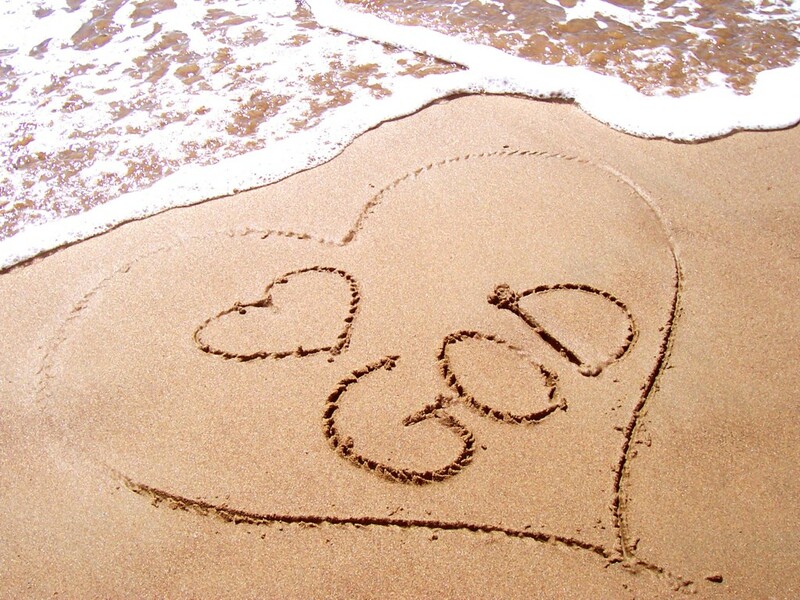 Why is it enough just to love God? Because, God’s great and wonderful blessings only apply to those who love Him. How to fall in love with God. As we close, let’s turn our attention to how, as Paul said in (Philippians 1:9), to “abound, more and more” in our love for God? First, since, “We love because He first loved us” (1 John 4:19) our love for God will only flourish if we know more of His love for us. Therefore, we need to search the scriptures daily to learn the depths of God’s love for us through His Son and in turn we will fall deeply and passionately in love with Him who saved us from our sins. The second way, to fall in love with God is to share God’s love with others. Jesus said, the second most important commandment is “to love your neighbor as yourself” (Mark 12:31). When we love others, not in “word or talk, but in deeds and truth” (1 John 3:18), then, and only then, is the love of God perfected in us (ref. 1 John 4:12). That is to say, that when we love others, God’s love is brought to maturity in our lives. Thus, our love for God increases when we love others, especially our brethren (cf. 1 John 4:20-21). As we have seen, it is enough to love God. Why? Because to love God is the greatest and most important commandment of all (Mark 12:28-34). Only those who love God will obey His commands in an acceptable manner (John 14:21-24). And, the Lord has promised great and glorious blessings only to those who love Him. Our first and foremost responsibility is to grow deeply and passionately in love with God through the learning the depths of His love for us and sharing His love with others. My prayer for you is that you might be rooted and grounded in love with all those who are being saved. God bless. This is a great word and ‘the’ word for this generation. One of the earth shattering books for my journey is “The Pleasures of Loving God” by Mike Bickle. I remember God using it to shatter the earth around me at the time and I pray for a fresh and on-going shattering of the earth that my feet are on today as I’m reminded of this truth in your post….thank you! Thank you Nick. I’ll have to check out that book.